Far and away the best Apex we’ve ever tested. Boot sole lengths have been trimmed by a whopping full centimeter for better responsiveness. 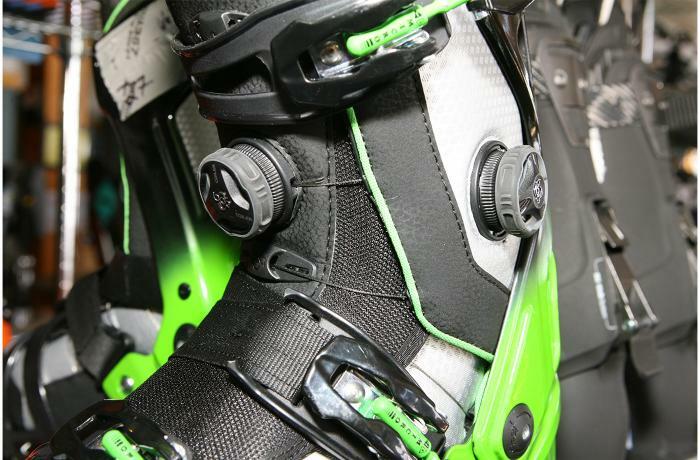 It sports a re-designed, easy-entry boot toe-to-chassis interface. Testers were impressed with the improved skiing performance and mobility from the XP's more compact form. 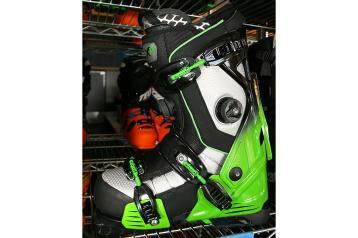 The inner boot's new dual Boa serpentine lacing system was re-designed to provide better instep retention. It pulls the foot deeper into the heel pocket and in doing do improves the toebox length fit. 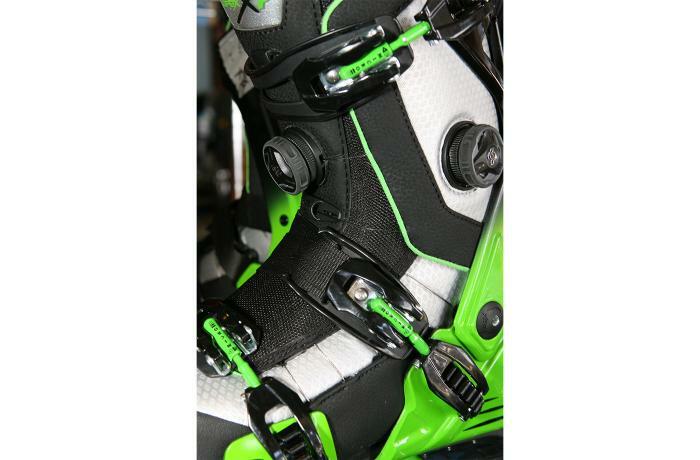 In past Apex models, testers had to upsize a full sole length; most skied their normal test size in the XP. Fit still runs shorter than the average boot, so trying on both size options is wise. In addition to liner lacing revisions (and new construction utilizing foot-warming Thinsulate) the chassis’ instep buckle is likewise re-designed. It now has a three-point sliding attachment that allows the buckle strap to home in on the instep for better foot retention in the frame. Testers liked the fit and feel of the inner boot but some had ongoing problems with hot spots at the navicular, outside ankle bone and styloid process. Liner molding helped but several testers noted they'd need to make frame modifications to ski the XP regularly. Minor grinding and stretching of the nanofiber reinforced nylon chassis is possible. Testers agreed the XP was the best skiing Apex they'd tested. It’s laterally strong. 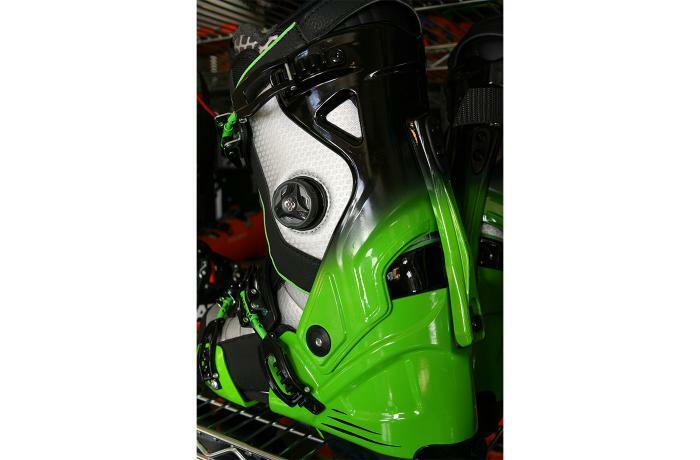 Power resides in the tall rear spine of the frame; tipping and ripping was the name of the game when the innerboot remained centered in the rear-spine's grip by way of working off the back of the boot. Testers said that the flex, while tunable for stiffness with elastomer bumpers, has a limited travel range. They found the best success piloting with side-to-side moves rather than driving hard toward the front of the boot. Testers skied the boot both stock and customized. Most found the stock lateral stance set up slightly looser (less inside edge grip) than average. 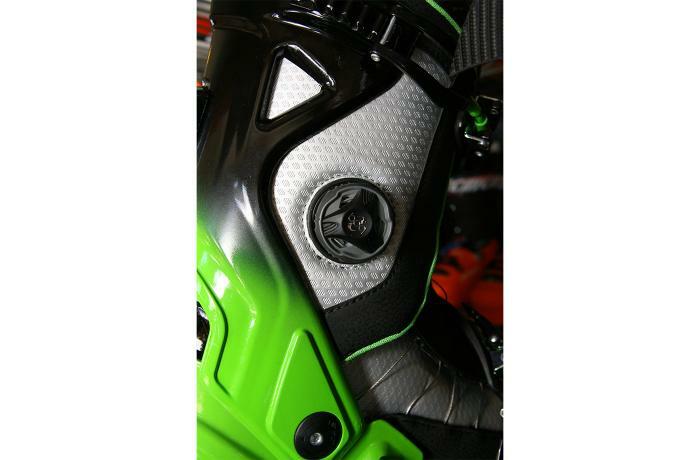 Some liked the slippery, steery feel out of the box; others found that making a simple lateral shaft adjustment unlocked the XP's latent horsepower on edge. For many, the walkable inner boot is the Apex concept's best feature. It’s a lightweight, warm and comfy shoe that’s suited for après-ski activities and easy travel from car to lift and beyond. The innerboot’s dual, coiler Boa reel closure system is quite effective. Testers used the Boas to fine tune fit tension to their foot and leg volume.